The Fujikawa International School of Bonsai is located in the heart of central Japan, a stone’s throw from downtown Osaka and a short train-ride from two of Japan’s most historically significant cities – Nara and Kyoto. This area, known as Kansai, is the cultural and artistic epicenter of Japan and retains an air of the ancient past not present in other parts of the country. 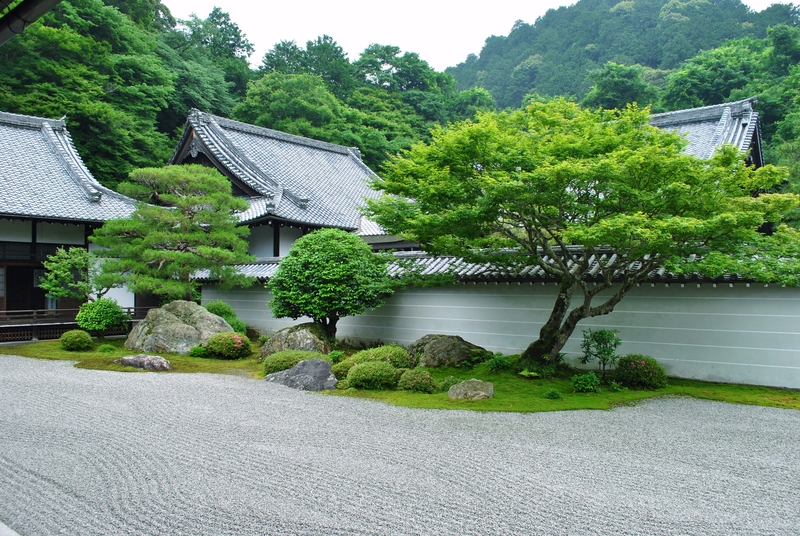 Bonsai, Ikebana, and Japanese Garden Design were all developed and refined in this particular area of Japan. The people of Kansai are also known for their hospitality and relaxed, care-free personalities, which add to the community’s enjoyable atmosphere. Below is a small selection of the many gardens and places of interest in the Kansai area, all of which are easily accessible to students of the Fujikawa School. Students will also be given opportunities to attend guided tours of certain gardens in Kyoto and Nara as part of the school’s program activities. 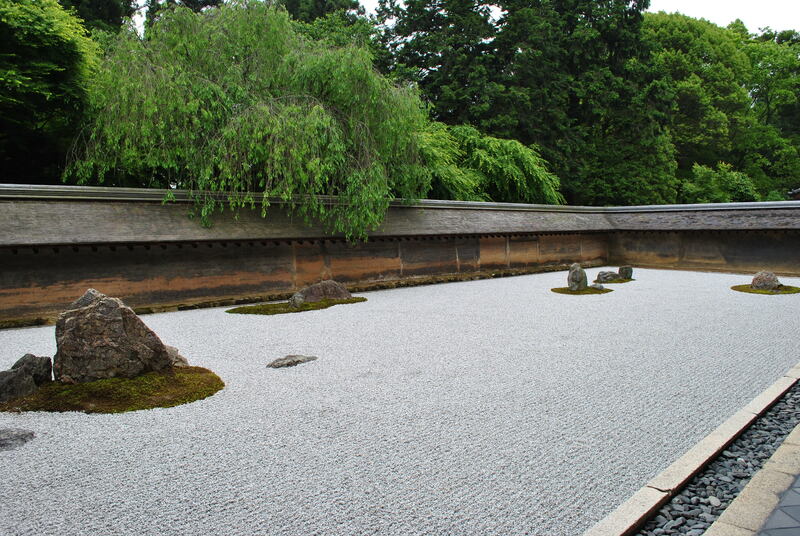 This karesansui, or dry-landscape style garden is located in the Higashiyama area of eastern Kyoto. 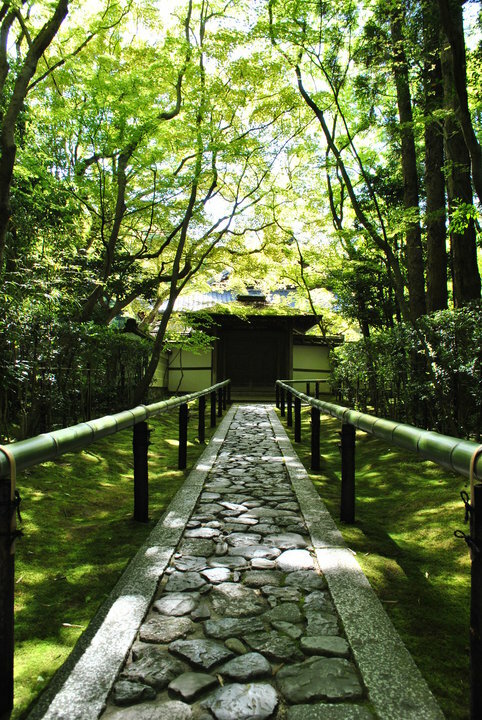 The entire temple complex is set in a picturesque forested area at the base of the Higashiyama mountain range. Perhaps the most famous dry-landscape garden ever designed, Ryoan-ji is the epitome of medieval 15th century Japanese gardening aesthetics. This temple complex lies in Kyoto’s northwestern corner. This former imperial palace-turned-buddhist temple, is an in-tact representation of early Heian-period (794-1185AD) gardening practices. 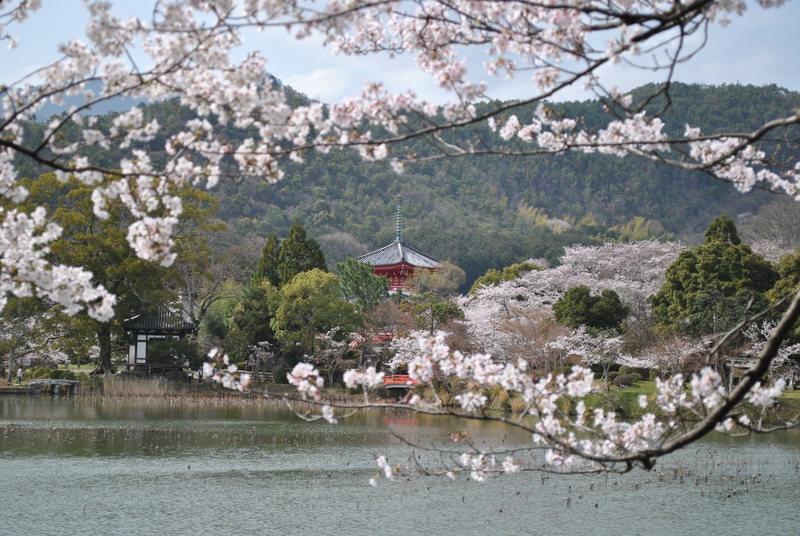 The large pond on the grounds was once used by Heian-kyo aristocracy for moon-viewing boating parties. 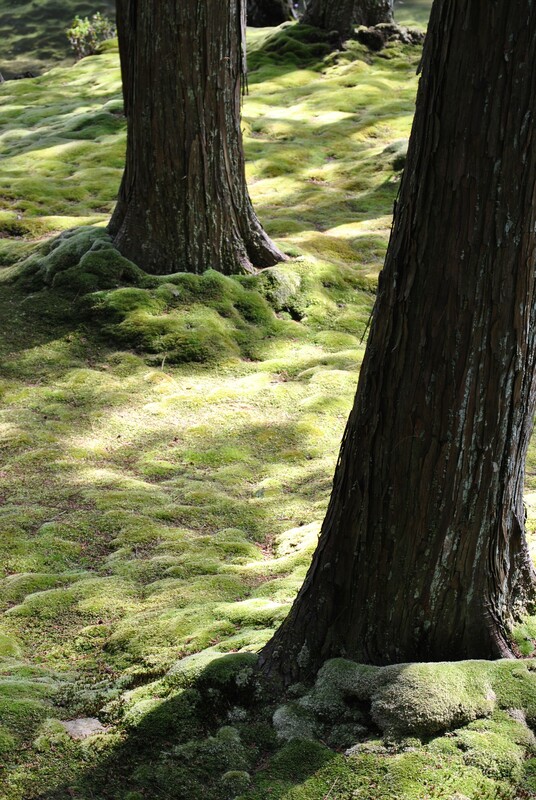 Also known as Koke-dera, or the moss temple, Saiho-ji is a buddhist temple whose grounds are carpeted in a layer of moss, consisting of more than 80 different species. All visitors are required to partake in reading Buddhist sutras before entering the garden grounds. The pond is designed in the shape of the Chinese Kanji character for heart, and the rock arrangements are said to have been overseen by Muso Soseki (Kokushi) in the early 1300’s. This large buddhist temple complex is home to some of Japan’s most famous gardens including Daisen-in, Zuiho-in, and Koto-in (pictured left). Daitoku-ji is located in the northern area of Kyoto and is a must-see for those interested in karesansui, or dry-landscape, style gardens.